Note: You must be the owner or a billing liaison for the account to update the credit card on file. Learn about roles and permissions. 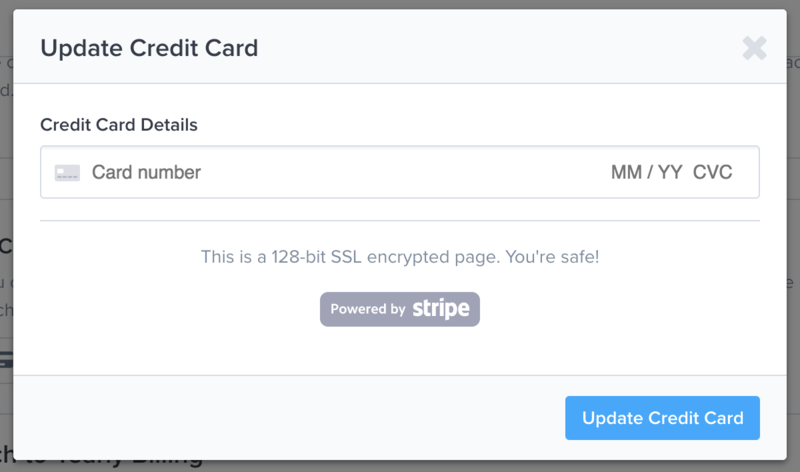 To update your credit card, go to the Settings => Account & Billing => Subscription page and click on the Update Credit Card button. You will see a pop-up with a form like the one below. Add your credit card number and click on the Update Credit Card button.